The image of Our Lady of Guadalupe inside the modern Basilica of Our Lady of Guadalupe, Mexico City. | THP Travels | Ramblings and travel photography. 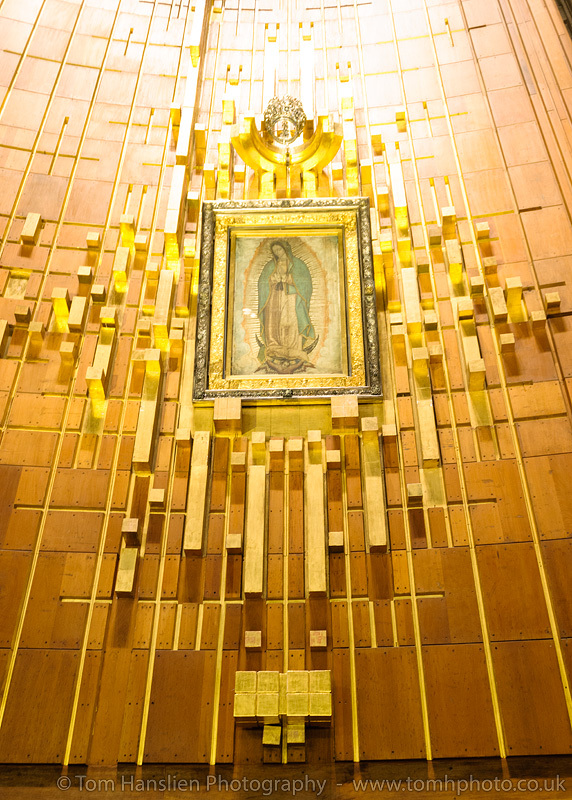 The image of Our Lady of Guadalupe inside the modern Basilica of Our Lady of Guadalupe, Mexico City.